This is the first time I’ve seen an example of a direct-read digital such as this. 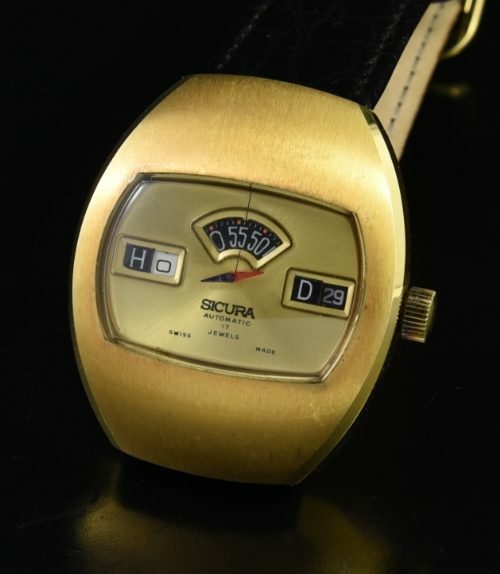 Made by SICURA in Switzerland and affiliated with BREITLING, this 70’s direct-read has triple apertures displaying hours, minutes, date and rotating center seconds-very interesting. The 36x42mm.gold plated case looks very, very clean. The SWISS movement is automatic winding-cleaned and accurate. 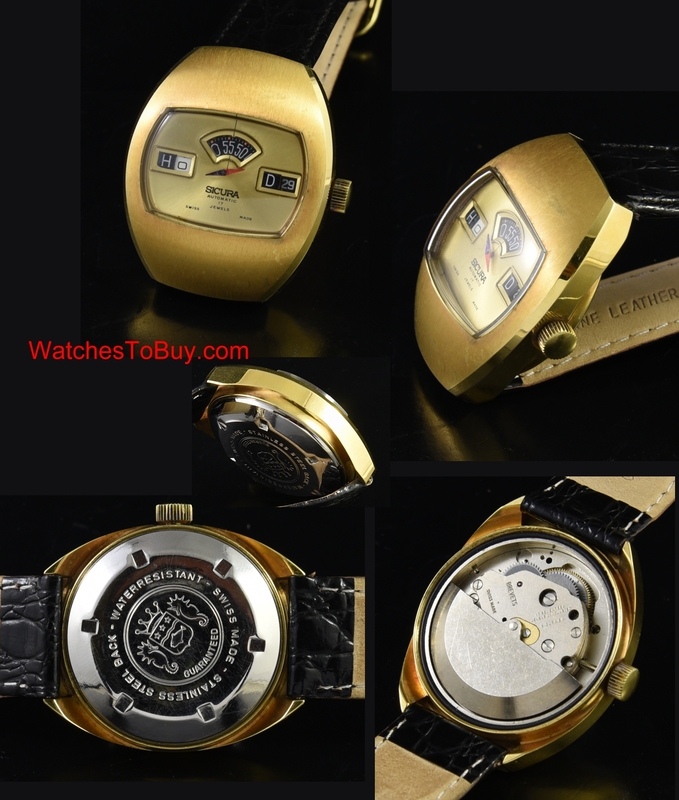 This is a very cool watch that is seldom seen. $950.